SES Cadogan Tate Explorer 2017 - CHRISTOPHER POONIAN is a freelance marine environmental consultant, based at the University of Nottingham. He is combining his fascination with the Bedouin Communities of South Sinai, his love of diving, and his interest in traditional marine resources in an expedition to the Sinai Peninsula in July 2017. The strong local collaborations Christopher has established during recent visits to the region will enable him a unique insight into the traditional and established protection practices of the intensely private communities, which he hopes to then process into longer term government marine protection plans. He will also seek to improve and enhance relationships between these communities and the diving and tourist organisations within the region. SES Gough Explorer 2017 - DR PRAMOD PATIL is a qualified medical doctor, who in 2014 left medicine to set up a Whitley Fund for Nature supported project to establish a community conservation plan for the critically endangered Great Indian Bustard in the Thar Desert of Rajasthan. During that expedition, he recognised how the Government funded ‘settled’ medical provision was failing to reach the nomadic pastoralists in the region. In a return to medically motivated expedition, he will seek to understand the community’s health culture, travelling by camel through unexplored landscapes, cultures and people, comparing traditional aspects of health and diseases associated with nomadic lifestyle with a modern doctor’s perspective. Due to a combination of circumstances, Pramod's expedition is currently on hold. SES Rivers Foundation Award for Health & Humanities 2017 - JAMES UNWIN. 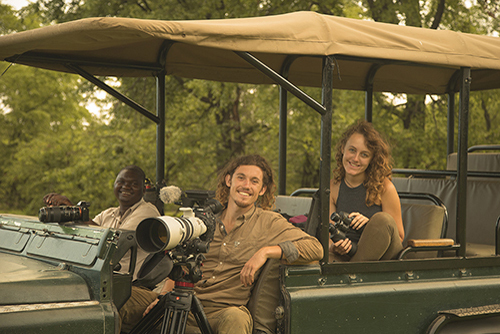 21 year-old Jamie is a zoologist and cameraman, recently graduated from Exeter, and together with partner Hannah Pollock will be heading to Kenya in Autumn 2017. They will be seeking the inspirational Kenyans who against all odds and in the face of adversity, civil unrest and poverty have made it their mission to help conserve Kenya’s wildlife. The plan is to capture these remarkable stories in a series of short films, which will be shown on the bicycle powered cinemas the two have constructed to proudly share these critical and inspiring messages across Kenya. 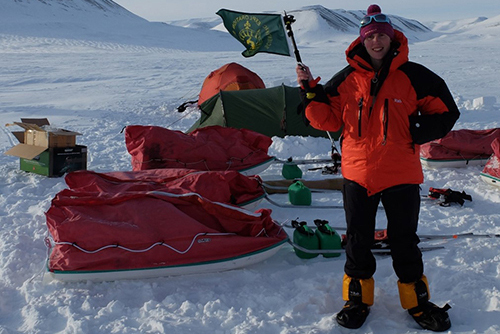 SES Sir Charles Blois Explorer 2017 - MOLLY THOMPSON In April 2017, Molly proudly led the British Greenland Stauning Alps Expedition. Measurements were taken from the Roslin Glacier which can be compared to estimates from satellite data, and against similar historic measurements taken in the 1970s. The unsupported team navigated the glacier system, often via unexplored valleys and unclimbed peaks to complete this valuable climate change research, and returned inspired by the adventure and keen to process the data to see quantifiable results soon. SES Inspirational Explorer Award 2017 - MARTIN HOLLAND is an explorer, conservationist, communicator and founder of the Heart of Borneo Project, Beyond Exploration and Expedition Base Camp. During the aerial reconnaissance for his very first expedition, he spotted the iconic Sandukui Pinnacle rising from the forest. To reach, climb, and study the biodiversity surrounding this striking feature is the inspiration behind his 2018 expedition, where he will lead a local team of climbers and scientists, all the while documenting their journey and raising awareness and empathy for the forests of Borneo and their plight. 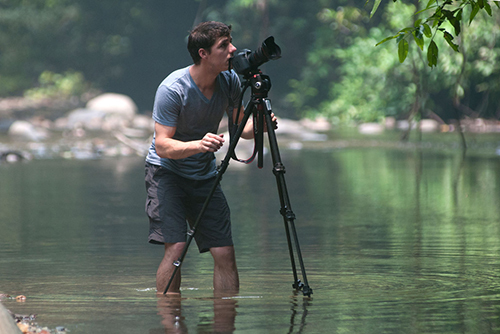 SES Elodie Sandford Explorer Award 2017 - ALEZANDER BRACZKOWSKI is a big cat biologist and accomplished photographer and film maker, originally from South Africa. He has an MSc in Zoology from Oxford, and is currently a doctoral researcher based at the University of Queensland. 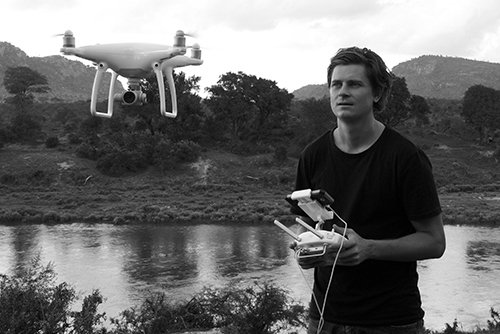 His expedition to the Queen Elizabeth National Park in Uganda will see Alex combine his camera work with technology to carry out a first accurate estimate of numbers of big cats, and establishing a carnivore - farmer risk map to deliver to local authorities. Local students will be trained in the techniques, and Alex seeks to inspire the youth within Uganda through locally led initiatives. SES Neville Shulman Film Award 2017 - ANIRBAN DUTTA GUPTA is a naturalist and film maker from Mumbai, who has for the last decade built strong collaboration with the Andaman and Nicobar Tribal Research Institute in Port Blair, allowing him unrivalled insight into the cultures and ways of several indigenous communities within the Andaman and Nicobar Islands. He will venture deep into the jungle to observe, document and archive the complex and fascinating honey collecting process as part of capturing the traditional knowledge, culture and social systems for the communities themselves, researchers and policy makers.